Bere Island’s place in history is assured. The West Cork island’s Martello towers date from the Napoleonic wars; Several American ships based here during World War I met their fate at Pearl Harbour, and – after the Anglo-Irish Treaty of 1921 – the island became one of three Irish ports retained by the UK. 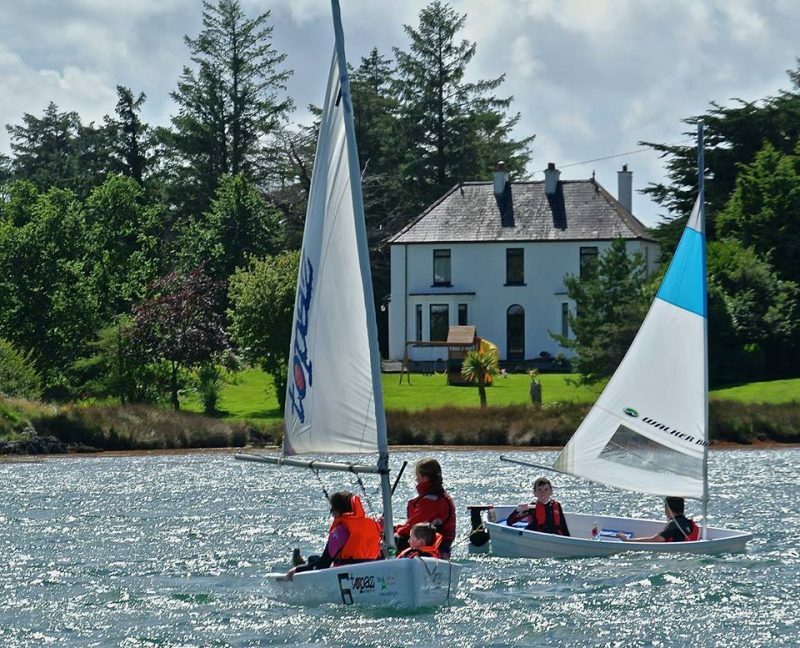 Why has this West Cork island so often been at the centre of events? The answer is Bere island’s strategic position at the mouth of Europe’s deepest harbour. Berehaven and Lawrence Cove offer unrivalled shelter for boats of all sizes, something settlers have recognised since the Bronze Age, as the Druid’s Altar wedge tomb, St. Michael’s Holy Well and a scattering of standing stones and ring forts testify. But it is its military might for which Bere is best known. In addition to the Martello towers, the island is home to a signal tower and, Lonehort, a military fortification dating from 1899 and housing two six-inch guns, an infantry trench, engine house and various underground structures. The result is unique, almost like an open-air museum. 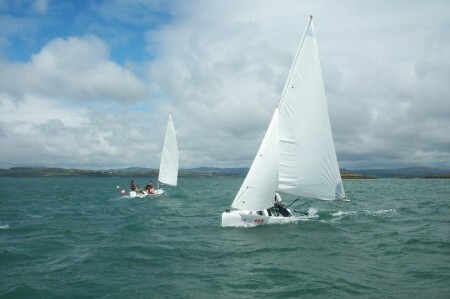 A looped walk (guides available) takes in the best of the sites, with wonderful mainland views of the Slieve Miskish and Caha Mountain ranges of the Beara Peninsula, and Lawrence Cove Marina is perfectly suited to visiting sailors. The deep waters of Bantry Bay are not solely taken advantage of by man. Killer whales, basking shark and bottle-nosed dolphins are all regular visitors, making Bere Island one of the primary bases in the southwest for diving, sea safaris, deep-sea fishing and watersports. Bere Island is one of the world’s most distinctive parkrun locations. 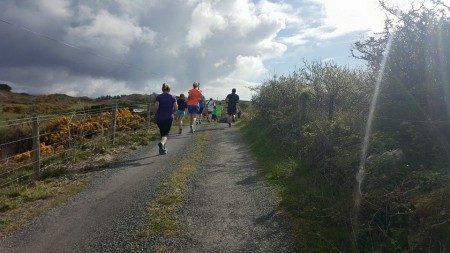 It’s weekly 5k run takes place each Saturday morning at 9:30am throughout the year, and the single loop island parkrun offers fantastic views out over Bantry Bay, and the Beara and Sheep’s Head peninsulas. You can register with the parkrun here to make sure you receive your official race time, and more information is available here. Explore Bere Island and learn about its past on one of the guided Bere Island Heritage Bus Tours which alternate between the east and west ends of the island. Guided walks are also available and can be booked by contacting Barry Hanley Tel. +353 (0)27 75995. Climb aboard a specially-designed rib and experience a thrill like no other as you explore Bantry Bay and see the lighthouses, caves, cliffs and beaches, as a great variety of birds and wildlife. Watch out also for dolphins, puffins, kittiwakes, porpoises, seals and much more. The regular trip lasts one hour, but a group charter can be arranged for a longer duration for a visit to any destination in Bantry Bay. 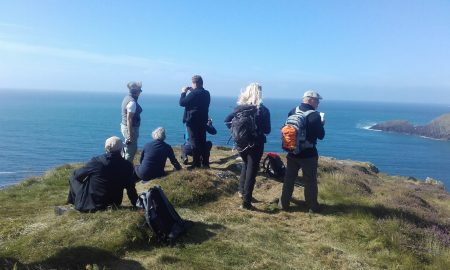 Beara Way walks begin at both ferry points (Rerrin & the West End – see “How to Get Here”) and lead you along trails that offer stunning views across the Slieve Miskish and Caha mountains, and the chance to visit a wide range of historical sites refelcting the island’s military heritage. Walking weekends are held throughout the year. Find ferry times at Bere Island Ferries and Murphy’s Ferry (Pontoon to Rerrin).